Alcorn McBride marks its 30th anniversary by celebrating its position as a prominent figure in the manufacturing of show control, audio and video equipment for the theme park industry. Alcorn got into the industry by accident back in the early 1980s when, as a consultant at Epcot, he designed the control system for Epcot’s American Adventure. His passion for product design was ignited as he and others at Epcot invented products on a case-by-case basis. Alcorn launched Alcorn McBride in Westlake Village, California in 1986 to create products to meet the needs of the theme park industry. Longevity extends to employees as well. “Some of our employees have been with us the whole 30 years,” said Alcorn. Jim Carstensen is another employee with a long tenure, having been the company’s director of engineering since 1992 and a colleague for far longer; Alcorn, Carstensen and Chaney worked together at Epcot in 1982. “Every single product we’ve developed since Jim started here has been touched by all three of us,” said Alcorn. 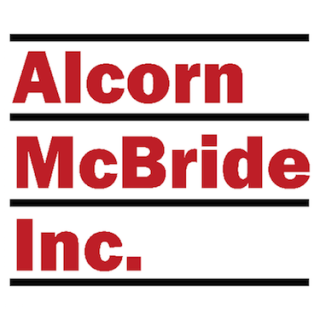 Alcorn McBride prides itself on top-quality customer service. “A lot of companies brag about putting customers first, but it’s just lip service,” said Alcorn. “We’re dedicated to the concept of supporting customers’ new and existing equipment, even if they’ve had it for 15 years. Customer service is provided by our engineering staff. When people call us they can talk to the person who designed the product they’re using.” The company fully stands behind their products and offers a 5-year product warranty as a testament to that faith. Alcorn McBride’s engineers also like getting outside the office to help with installation and attend industry events and socials. They double as the company’s sales force, too. “Our entire sales department is engineers,” Alcorn said. The company’s corporate culture puts a premium on creative freedom and leaves room for fun. And when Martin Chaney celebrated his 60th birthday the company permanently installed a spoof of Michelangelo’s Sistine Chapel ceiling over the executive hallway; it depicts Chaney giving the spark of life to the AV Binloop HD. With a group of creative, hard-working, fun-loving people at its heart, Alcorn McBride is ready to take on the next 30 years.